Your eyes are not meant for viewing harmful blue-light! Though digital devices have modernised our lifestyle, it has certain downsides too. You need to understand the fact that continuous exposure to blue-light can be a major health hazard and can also affect your productivity. Since our lives are so much dependent on digital devices, avoiding or eliminating the use of digital devices is certainly not a valid solution to overcome this problem. You need to embrace the practices to avoid the strain on eyes. Prolong use of digital devices not only affect your eyes but also causes other health issues like neck pain, backache, fatigue and headache. If your computer screen is not positioned properly, you can suffer from neck pain and headache. Staring at small font or images for longer period can cause fatigue. Since you are staring at screens, you tend to blink your eyes less frequently which results in dry eyes. The glare due to light from screens causes blurred vision. Your eyes also become red and you can feel itching or irritation in your eyes. Blinking, taking break, proper positioning of digital screens are some of the easy solutions to relieve the eyestrain, however you need a permanent solution. The best way to shield you eyes from the harmful blue light rays is by opting for perfect protective eyewear. The eyewear industry has evolved and has cropped-up with many options for safeguarding your delicate eyes from the hazardous digital lighting. Computer glasses: Computer glasses come in all shapes and styles of frames with and without prescription as per the convenience of varied wearers. Computer glasses come with a protection layer that adjusts the glare of the screen lighting and helps in relaxed viewing. 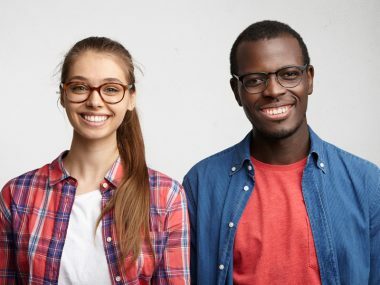 Anti-reflective coating: This kind of lens coating reduces the visual distraction cause due the glares and reflections emerged from light sources. It prevents from squinting of eyes and avoids blurred vision. Blue-light coating: Specially designed to fight the harmful blue light generated from digital devices. This lens coating filters the blue light without hampering your digital screen viewing experience. Digital protection glasses are something which is completely unavoidable when it comes to eye-protection. Digital protection lens coating can be easily fitted into any type of glasses and is available at economical price. Framesbuy offer blue-light coating lenses. While buying glasses, you can select the lens coating and enjoy hassle-free digital screen viewing. 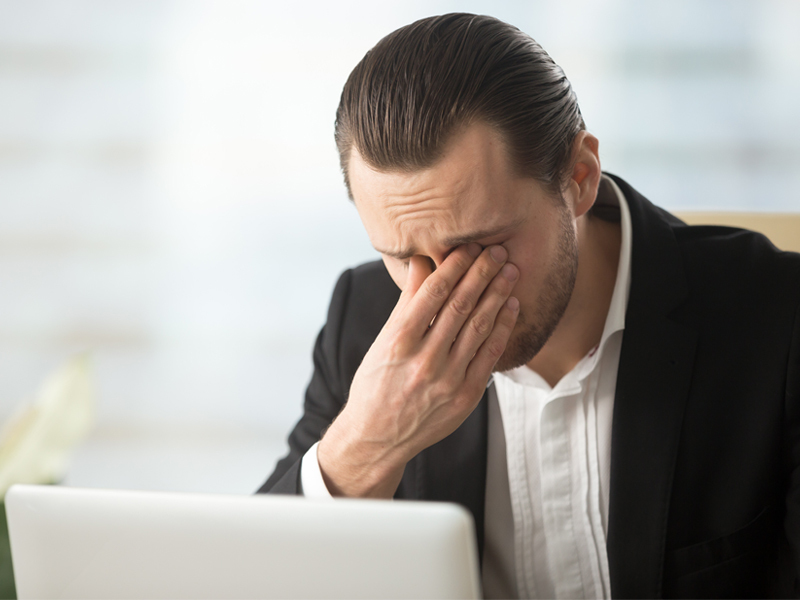 However if you are suffering from digital eyestrain for longer period, consult an ophthalmologist (eye doctor) immediately for proper treatment and get relieved from the problem.